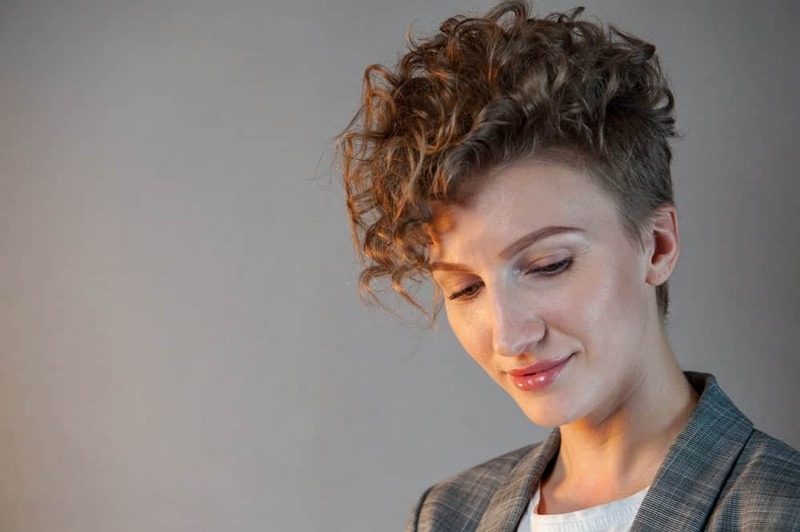 Short haircuts can look great for fine hair and if you’re a women with this type of hair, there are many options as you’ll see below. Fine hair is usually blonde so you’ll see many blonde examples below. Styling fine hair often requires some effort and various techniques, but when short the result can be stunning. With her true blond hair, January Jones has always nailed the curled look. Here, the actress has waved her hair in a vintage style, reminiscent of Marilyn Monroe and made its stay with lots of styling products. Emma Watson has been perfecting the short style look ever since she finished with the “Harry Potter” films. 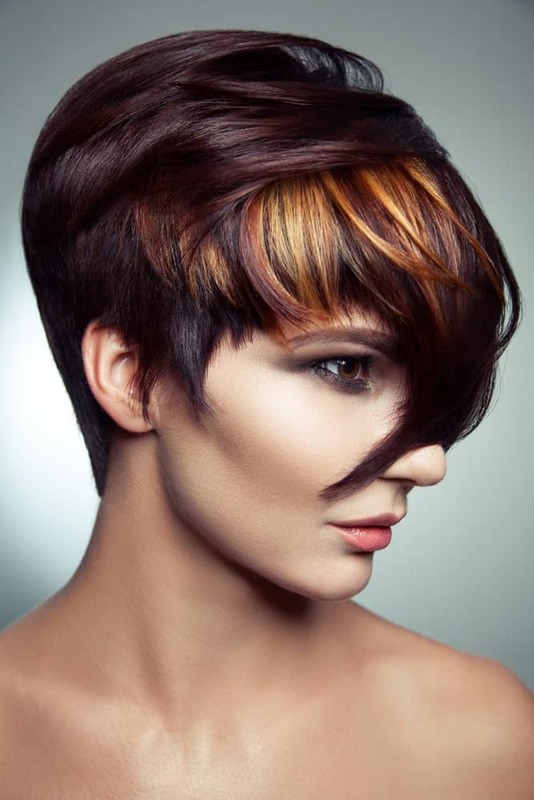 This short bob is complemented by caramel-gold highlights at the tip and rounds off at the ends. This look will take years of your face. Yes, even women with short hair can sport buns. Just take the ends of your hair, curl them to the side and then secure it with lots of bobby pins. Tug loose a few strands and give them some curl to soften the look, just like Emma Stone and you are all set to go to an elegant red carpet event. 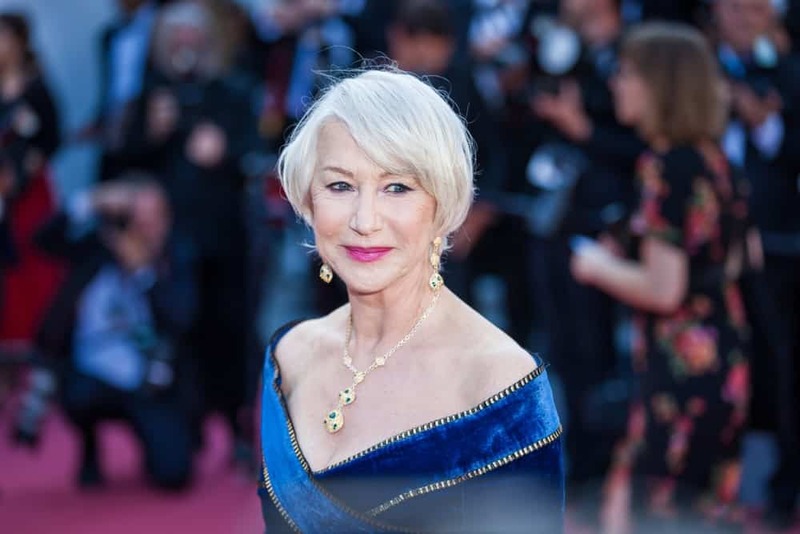 The ever-beautiful and elegant Helen Mirren wanted all eyes on her gorgeous dress and jewelry, so she kept her platinum-silver hair simple. The look can be achieved by air drying your pixie cut and sweeping the bangs casually to the side. 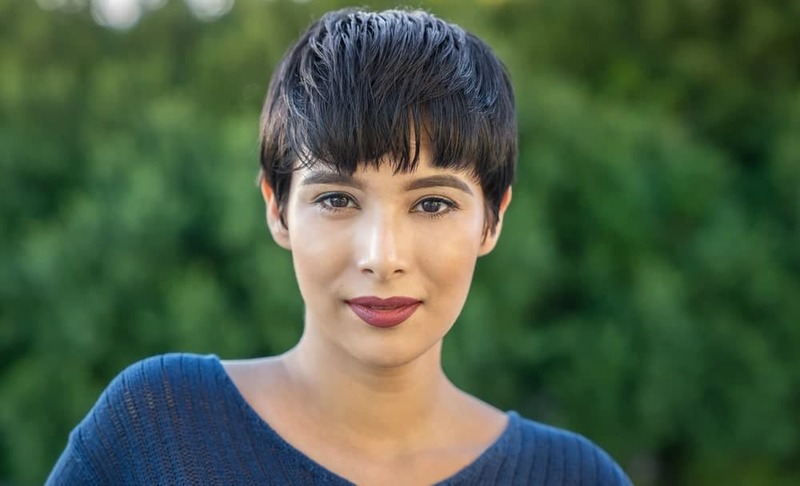 For a low-maintenance but sweet pixie cut, add just a bit of texturizing mist to your hair and blow dry the long bangs to the side in an artless way. Get your inspiration from Michelle Williams. The Oscar-winning actress always turns head on the red carpet. Her choppy and textured lob ends just one or two inches above her shoulder and the edgy look is one of her best red carpet styles. 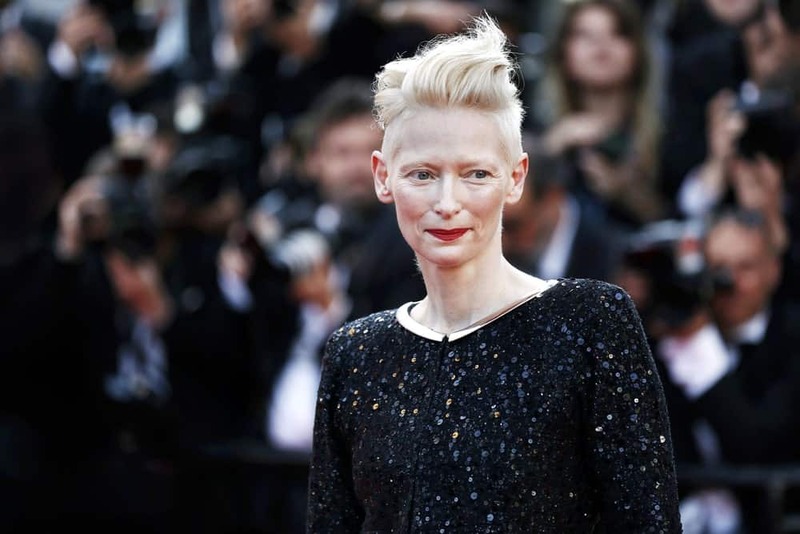 Tilda Swinton has worn her hair super short for several years and has tried dozens of glamorous styles on it. This one features a very extra pompadour that flips her long front hair back. The actress has left her side hair much shorter and it makes for a super-cool and fun style. If you have fine and short jaw-length hair, style them super-straight, like Olivia Wilde. Part your hair on the side and use just a few dabs of pomade to make it slick and glossy. A gorgeous and glamorous way to dress up your hair is to curl it up. For some dimension, add dark and light gold highlights as well as some shimmer, just like Paris Hilton. The look works best on second-day hair. If you don’t want to do that, use some texturizing spray to make your jagged layers stand out, like Emma Stone. Part your hair in the middle for a chic and effortless look. For those who think you can’t make elegant buns with short hair, look no further than Kendall Jenner for inspiration. The supermodel took half of her chin-length hair and twisted it up to the top of her hair in an elegant ballerina bun. If you have hair that is fine and lacks volume, Christina Ricci’s piece-y bangs and jaw length blunt cut is the way to go. The actress opted to cut her dark hair to jaw length and separated her straight bangs to frame her beautiful, pixie-like features. 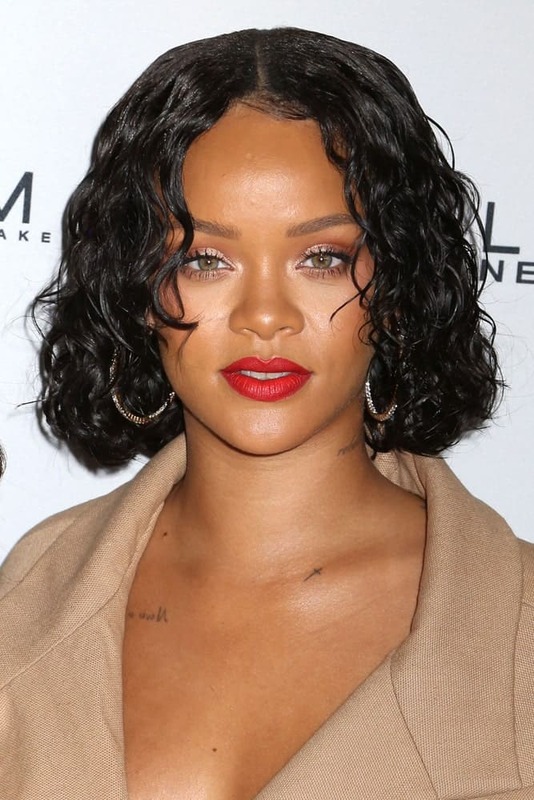 For a casual look that requires minimal fix-up, do as Rihanna did. Part your hair in the middle and add lots of mousse to your hair to give it a slick and wet look. Add crimps to your hair by scrunching you locks in your hands and you are good to go. Even though Katie Holmes sported this look years ago, it is still one of her best looks. Ask your stylist to dye your hair a beautiful shade of chocolate-copper brown. Then add some styling gel and use a brush and blow dryer to make your hair turn outwards in uneven spikes. Although not for the faint of heart, this modern Mohawk is the perfect look if you want to make an edgy statement. Give your hair multi-tones of color and rock this very grunge style. Even if your hair is short and fine, there is still a lot of room to play with colors. Paint your hair with aquamarine, candy pink and other colorful dreamy hues to bring out your inner child. The color silver is one of the most popular trends these days. Complement your classic bob and thick blunt bangs with this icy hue to create an ultra-modern hairstyle. With a balayage, you can incorporate multiple tones in your hair in a seamless way. Some of the fun colors trending these days are silver, pink and turquoise. Ask your stylist to give your short hair a metallic balayage for an edgy look. Ponytails are a go-to hairstyle for any urgent situation. 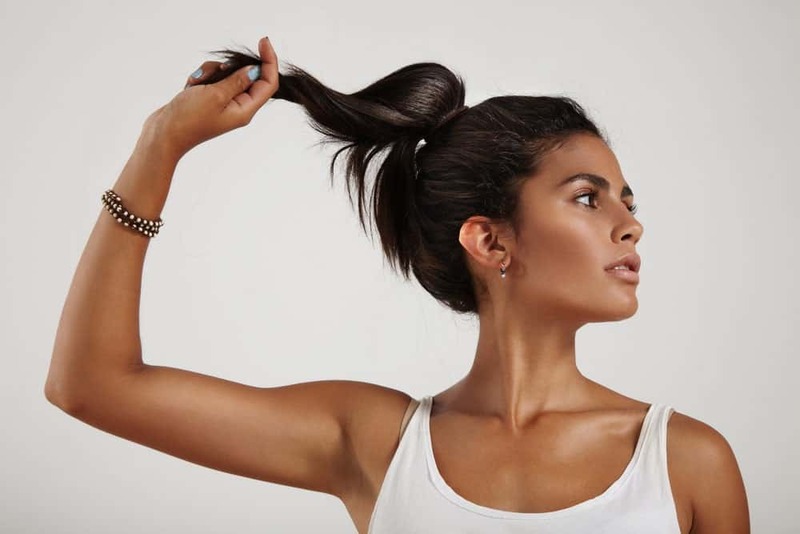 However, you can give your simple ponytails a lot of character by adding some texturizing spray and loose curls and pulling your locks in a messy ponytail. Don’t be afraid to let a few tendrils escape to enhance the tousled look. If you want to highlight your jaw and cheekbones, try a super-short hairstyle with a faux hawk. You can also personalize the look by asking your stylist to color your front hair in a contrasting hue to your back and side hair. Beachy waves remain glamorous and sensual, no matter your hair length. The great thing about styling your hair in loose, beachy curls is that you can let it play as much as it wants. Are you running late for a party? Just grab a jar of mousse and slather a liberal amount on your short hair. Comb your hair back from your face for a quick and easy hairstyle. Who says you can’t make complicated hairstyles with short hair. The key is how short you want to make certain sections of your hair. You can keep the hair in the back shorn short to get a nice breeze on your nape. Cut your side and front hair in asymmetrical and jagged layers for a super cool look. Dye your hair in multiple hues for added dimension. For a super-edgy look, sweep your hair to one side and add a few cornrows to the other side. Next, add some frosted tips and cool-toned color to the loose hair at the front for a great nightclub look. Who knew Mohawks could be so sensual and feminine? To get the look, keep your air on the sides and back super-short and add riotous curls to the hair on your front and crown. Do you want a head full of untamed curls? Curl your hair into wild twists and don’t be afraid to grab hair of varying thickness to achieve the look. Add some mist to hold the style and let it bounce around. No brushing required here; the messier, the better. Straight out of “The Great Gatsby,” this flapper-style cropped look is an easy, low-maintenance and effortless look for some elegance and glamour. This retro hairstyle looks good on women of all ages. Mia Farrow first fabricated the pixie cut look in the 1960s by cutting her hair scandalously short. You can add a modern twist to this classic look by having your stylist paint sections of your hair in jewel tones. 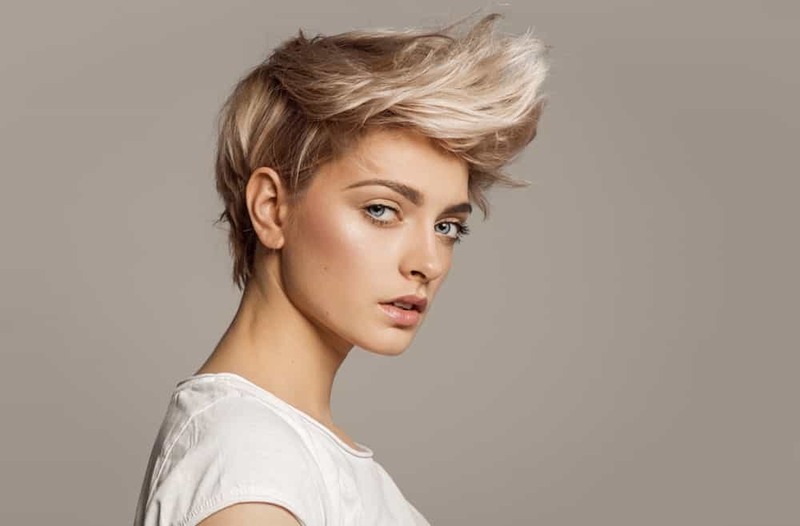 To achieve the undercut pixie look, keep the hair on the back super short, while leaving the ones on top longer. Ask your stylist to give your hair some choppy layers to give it volume. Dye it silver and purple for a gothic, grunge look. 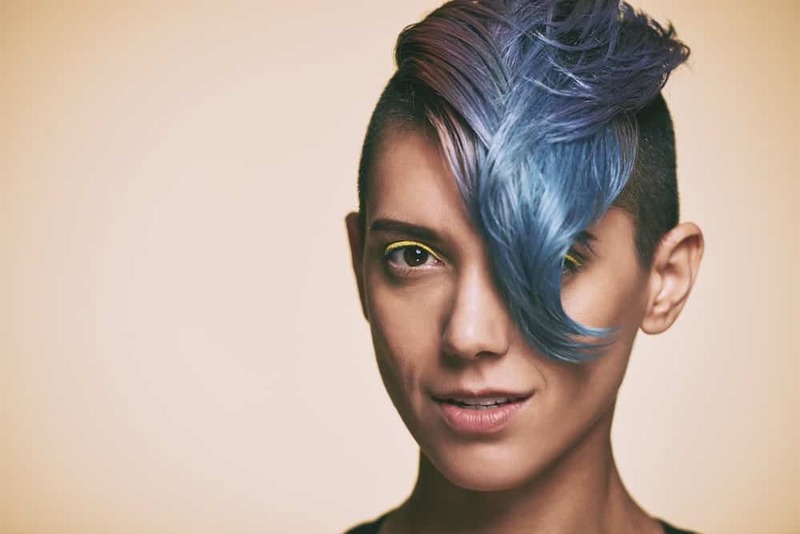 Just some artful use of color can give your hair life. If you are not happy with your hair color, ask your stylist to give it a subtle and classy touch of balayage or ombre. Use minimal products to sweep your hair away from your forehead and make a statement wherever you go. 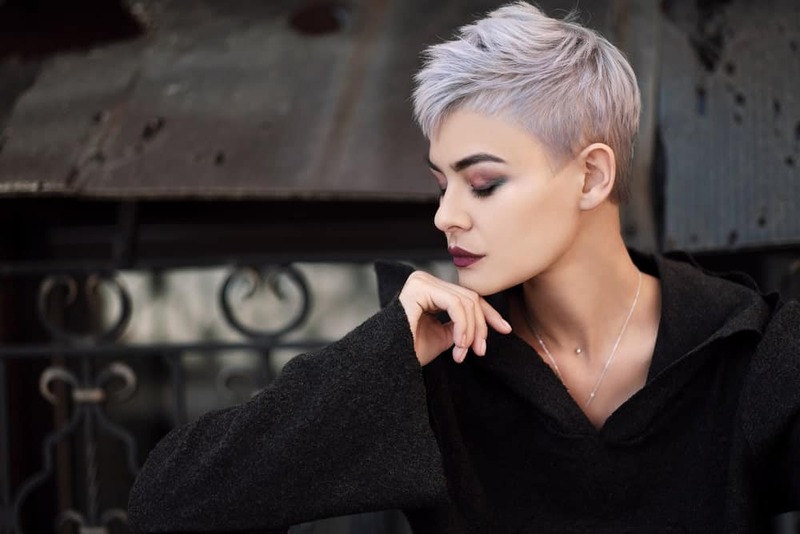 Ask your stylist to color your hair a brilliant platinum-blonde and cut it into a super-short pixie style, which parts on the side. Use some mousse to make your hair lie flat in an elegant and effortless style. A cute mushroom pixie goes a long way to give your hair some character. 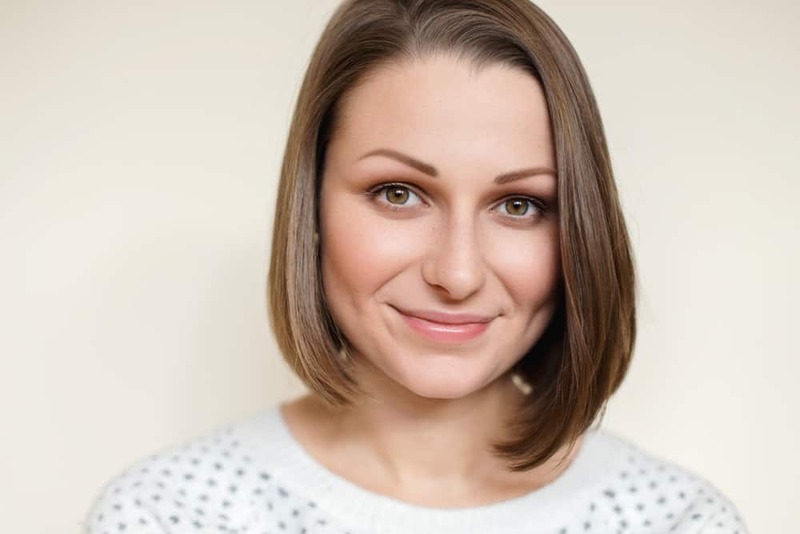 Cut your hair short in the same length on all side and make it lie flat. 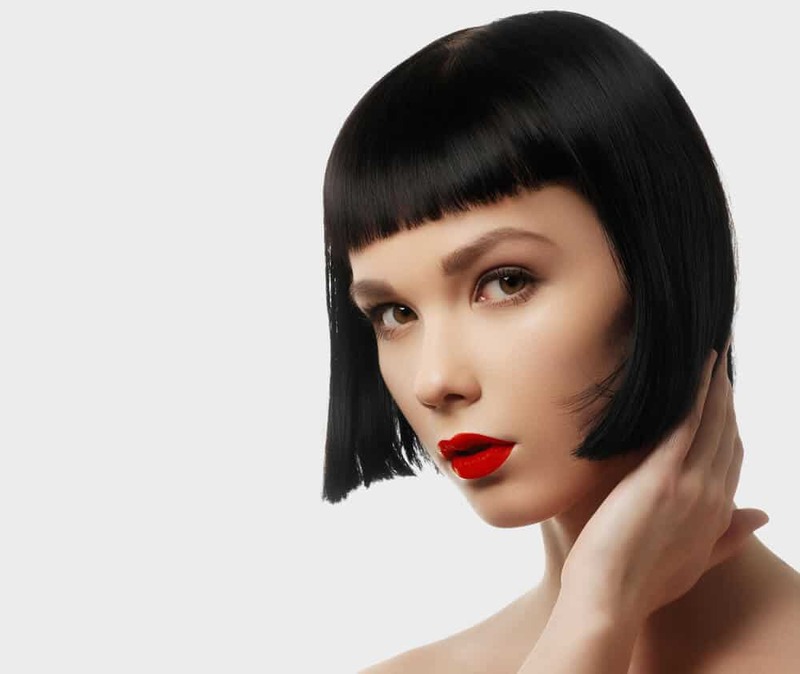 Give your eye-skimming bangs some uneven, jagged cut for a more volumizing look. A nicely done ponytail can never go out of fashion. 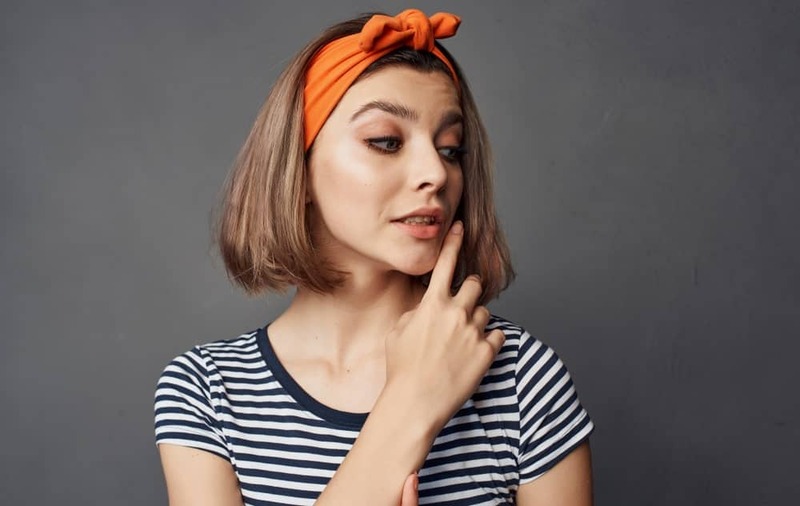 If you have short hair, just tie your hair a bit higher up near your crown so that your hair has a bit more swing to it. Don’t underestimate the importance of accessories when it comes to your hair. Add a brightly colored headband on top of your short bob; the wider the better. The thick band will keep your hair from getting into your eyes and will let the hair on your side frame your face perfectly. 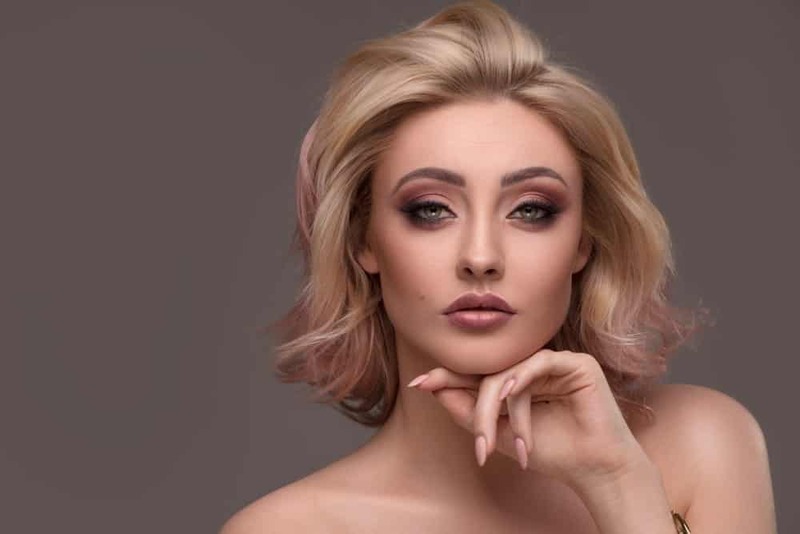 Be sure to bookmark this page because we add new hairstyles and cuts every day and week to all of our hairstyle galleries. Bob haircut for short, fine hair. Bobs are super popular for short fine hair. Any of them work including a regular bob, asymmetrical bob, tilted bob… you name it, it’s a good choice. Short pixie cut for fine hair. Take the cut a little closer than a bob and you get a pixie, which also works for short fine hair, although the pixie isn’t for everyone. It’s definitely a stand-out cut regardless of hair type and face type. Feather haircut for short, fine hair. Feathering, while popular in the 1980’s is back and it’s a great option for fine hair because it adds texture. Jennifer Lawrence with short, side-swept hairstyle. Side-swept styles work great if you can get them to stay in place. Works for short and long fine hair. Emma Watson with short, side part hairstyle. Instead of a hanging side-sweep, go for a higher side-part. 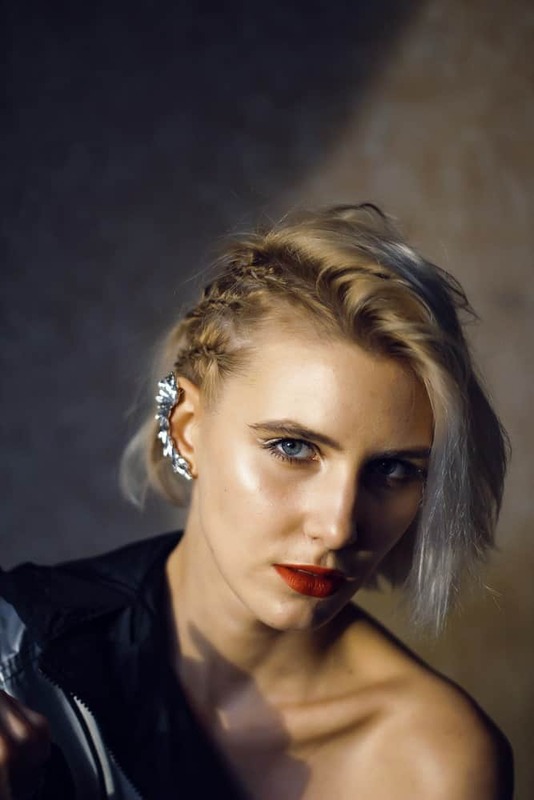 Also referred to as the rocker pixie, this works for wider face types. Single length bob with short, fine hair. For a hassle-free cut, get the single length do that’s super easy to style. 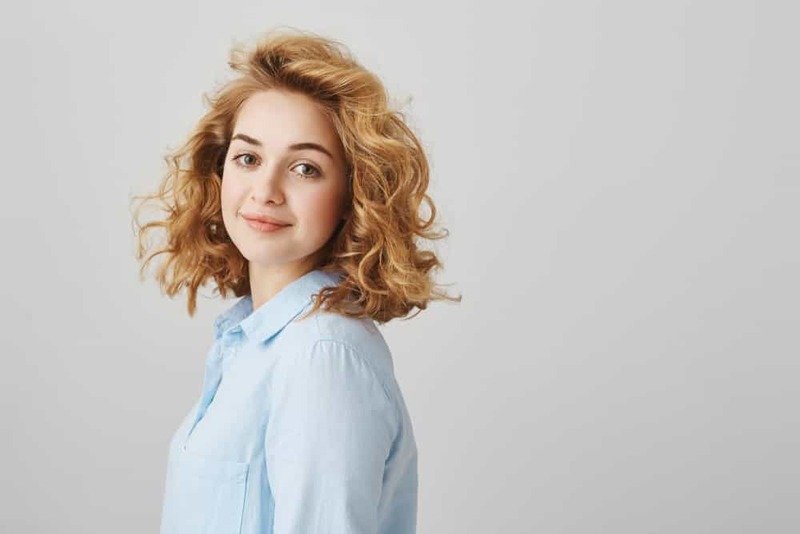 Wavy, short, fine hair example. Not an easy style to achieve if you have straight hair, but if you have slightly wavy hair, this looks great.